One gallon. Per person. Per day. As important as food is, you can only live three to four days without access to clean drinking water. The ‘average’ adult human body is composed of approximately 60% water, the brain 75%. 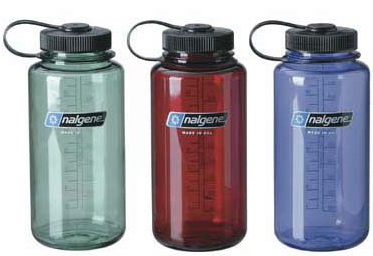 Each day adults must replace about 1/2 gallon of water (approximately 2 1/2 liters). More is needed for cooking and cleaning. Even more is needed during exertion or warm weather. That is why emergency agencies recommend storing one gallon of water, per person per day, for three days. Before a disaster strikes, water is an easy thing to acquire and store. It is cheap and available. To get your recommended three-day emergency supply, you can buy commercially bottled water for less than $1 a gallon. Do the math of what is needed for your family, spend the money and put it somewhere safe and you’re done. If you want to fill your own containers, it’s best to use clean, food grade plastic containers. Two liter soda bottles work very well, avoid using milk jugs (they’re not meant for longer storage). If the containers are clean and the water is clean there is no need to add bleach. For a longer emergency situation there’s only so much water you can store, and access to additional safe drinking water is unreliable. Or what if you’re away from home–obviously there’s only so much you can carry? But one gallon of water weighs 8.3 pounds. For a family of four to have the recommended amount, that’s 12 gallons or 99.6 pounds of water. No big deal if it just sits on your shelf in the basement. But what if we have to go somewhere? But what if we have to walk to get there? We still need water. There may be water available, how do you ensure ‘clean drinking water’? There are three common ways of purifying water: boiling, chemicals, and filters. Start by removing suspended particle, straining through a barrier (coffee filter, cheese cloth, even a clean shirt) or letting them settle to the bottom. Then pour that water into a clean container to purify. A regularly asked question is “How long do I boil the water?” This is important because, if we are in a situation to boil water, we may only have a finite amount of fuel available to burn. This question is best answered by explaining that water above 185° F (85° C) will kill all pathogens within a few minutes. So in the time it takes for the water to reach the boiling point (212° F) from 185° F, all pathogens will be killed and the water will be safe to drink. Bottom line: heat to rolling boil, let cool, it’s safe. Boiling is the best, safest, time-tested way to purify water. Done correctly it will work every time. Chlorine bleach, is the most common household purification product, but not necessarily the most effective (bleach begins to break down within a year). Use household bleach that contains at least 5.25% sodium hypochlorite (do not use scented or color safe). Add 2 drops to a quart/liter (8 per gallon), double if water is cloudy. Purified water should have a slight bleach odor. Iodine is more effective than bleach and, when stored correctly (out of sunlight), will last for years. It comes in either tablet or liquid form. The unpleasant taste can be countered by adding a Vitamin C powdered drink mix after the water has been treated. In liquid form it comes as Tincture of Iodine (sold in pharmacies), add several drops per quart. All chemical water purification options require at least 20 minutes for the chemicals to do their job (longer for cold water). Be sure to loosen the cap on your water container and slosh some of the treated water onto the threads of the cap and bottle to eliminate outside contaminates. There are many types of commercial water filters available. In preparing for a collapse situation, purchasing a family size, quality filter (with ceramic filters) will provide the best long-term solution. Lastly I wanted to mention solar water disinfection (SODIS). This method disinfects water using only sunlight and clear plastic food grade (PET) containers (2 liter soda bottles work best). Using clean bottles, expose to direct sunlight for at least six hours (or two days under very cloudy conditions) to purify.